Generic low-cost DVDs, (may have sticker labels), papers sleeves, a VHS to DVD Recorder (used for Budget DVDs only!) automatically burns directly to the DVD...if your video is less than 2 hours (example: 1hr. and 20mins. ), it may continue to play (for example given: up to 40 minutes past your video tape's ending ). If this is not desirable, please choose our Basic or Deluxe packages. We can only transfer Consumer-type Betamax and Non-HD MiniDV tapes. 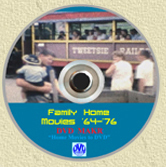 Transfer VHS Tapes to DVD $10.00 Budget / $15.00 Basic /$30.00 Deluxe (PAL/Secam + $5.00). 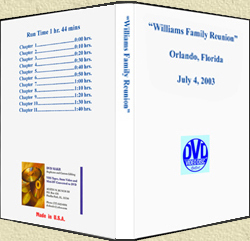 Transfer VHS-C Tapes to DVD $10.00 Budget / $15.00 Basic /$30.00 Deluxe (PAL/Secam + $5.00). 1st Blu-ray* (up to 2 hours from 1 Tape) (N/A) Budget / $25.00 Basic /$40.00 Deluxe (PAL/Secam + $5.00). Don't have a VCR anymore and need to know what's on your tapes? (1) $5.00 charge per tape, you can watch your tapes here (up to 10 mins. per tape) or you can leave them and we can preview the first 20 mins. of a tape to tell you what's on it...NO store will do that for you! (2) $10.00 / day (+$50 Deposit) you can rent a portable combo TV/VCR (VHS) to preview your tapes. (3) $15.00 / day (+$100 Deposit) you can rent a Digital8 or MiniDV camcorder to preview your tapes. 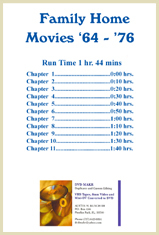 If you have more than 6 items (viewing tapes is normally $5 each for up to 10 mins. 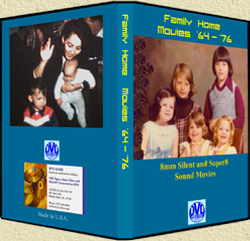 ), or you want to view/listen to them at length, we can also help you view your 8mm, Super 8 home movies, Betamax, VHS, Camcorder tapes, Slides, or listen to your Cassettes, and Audio Reel-to-Reel tapes*. *At least 1 Days notice is required...this cannot be done randomly at a moment's notice. We can take your video clips (now up to 15 mins!) and upload them to our DVDMakr Company account, or to your own account, so you can share them with all of your friends! Bring in your tape fast-forwarded to your video that you want to add, and it's only $15 for each clip** you want to add! **NOTICE: your video CANNOT contain © Copyrighted music, or it will be BLOCKED by YouTube® and CANNOT be shared, example: Parachute videos of yourself that you purchased from the Skydive company have copyrighted rock music that will be detected and you will get a black box instead (see below). We can replace our music over everything from beginning to end for only $5 more...or we can replace the our music AND allow up to 3 speaking segments in the clip for only $10 more, by turning-down our music so you can hear what you're saying in the video. 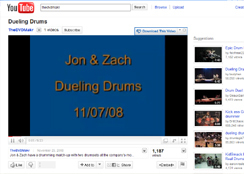 * "YouTube" is a registered trademark of Google, Inc.®. 8 mm, Super 8, Super 8 Sound Films to DVD (3" 50ft. reels, about 4 mins.) $10.00 ea. PLUS $15.00 Basic or $30.00 Deluxe DVD*. 8 mm, Super 8, Super 8 Sound Films to DVD (4" 100ft. reels, about 8 mins.) $20.00 ea. PLUS $15.00 Basic or $30.00 Deluxe DVD*. 8 mm, Super 8, Super 8 Sound Films to DVD (5" 200ft. reels, about 16 mins.) $30.00 ea. PLUS $15.00 Basic or $30.00 Deluxe DVD*. 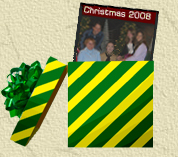 Create a Photo Slideshow DVD $15.00 Basic or $30.00 Deluxe DVD. Each side of the Cassette (side "A" and side "B")will be transferred as ONE track each (or "song") on the CD, for $5 more, we will divide them up as songs. For example: a 60 minute cassette will appear on 1 CD as 2 separate 30 minute songs, a 90 minutes cassette will be on 2 CDs, with each CD containing a 45 minute track (or "song"). An audio CD can only hold up to 80 minutes.